Trained as a mechanical engineer, Newman is known as the “Dean of Green” for educating people the world over since 2010 as an author, featured presenter, ASHRAE Distinguished Lecturer, keynote speaker and certified trainer for ASHRAE Energy Standard 90.1. He has taught HVAC engineering and building management and maintenance professionals, student groups and the media about sustainability and green technology. 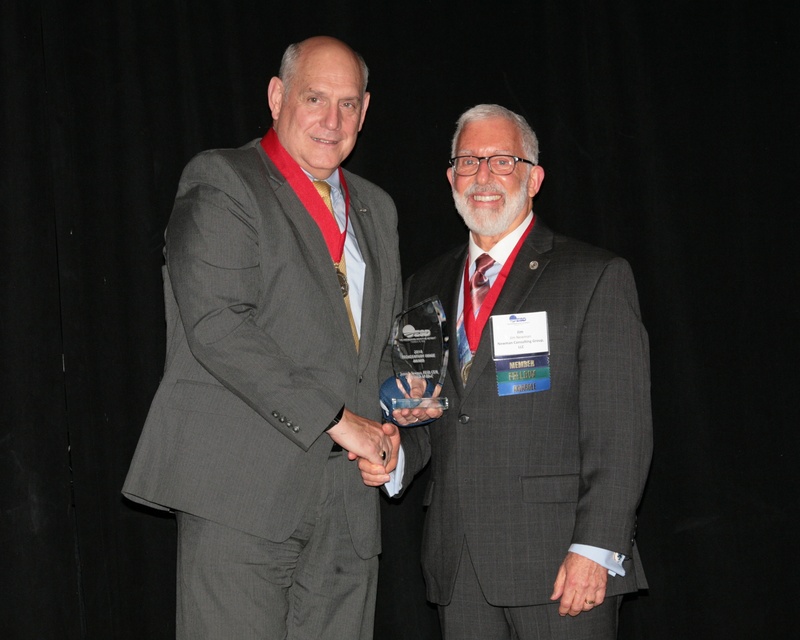 He was recognized by ESD for his engagement with the society, service on committees and in leadership roles over the years, and his use of technology to promote the profession. For decades, Newman has been promoting energy conservation measures and increased use of renewables. In 2002 he founded Newman Consulting Group to help commercial, industrial and multi-family property owners implement energy efficiency projects to eliminate waste and save money. Today NCG is one of the Midwest’s premier energy efficiency and green building consulting firms, specializing in energy audits and LEED® (Leadership in Energy and Environmental Design) certification consulting, building commissioning and re- and retro-commissioning, and PACE (Property Assessed Clean Energy) and PPA (Power Purchase Agreement) financing. ESD promotes and celebrates excellence, innovation, cooperation, professional growth and fellowship in the engineering, scientific and allied professions. Click for more information on ESD, NCG, or the Award.